A new rumor today has claimed that Infinity Ward’s new Call of Duty title for 2016 will take place very far into the future, in space. When Infinity Ward released Call of Duty: Ghosts in 2013, it was the first Call of Duty game on next-gen consoles. Ghosts was met with harsh comments from press and fans alike. 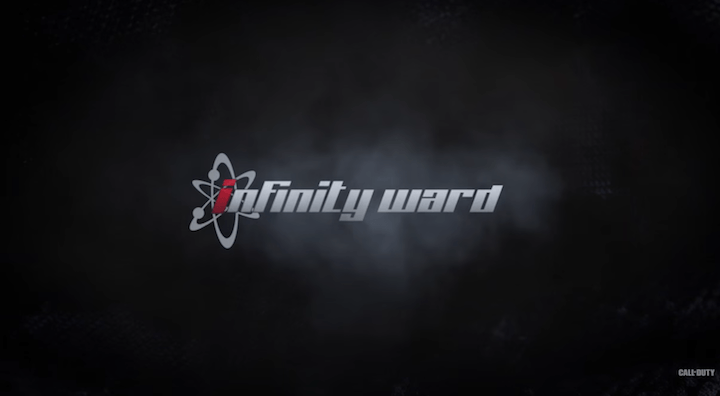 Press stated that the title was “not new” and “not innovative,” claiming that Infinity Ward was too scared to do something big and bold for Call of Duty. One example of this is in Polygon’s review, where they stated that Ghosts “is mired in a distinct lack of ambition” and does not go beyond what previous titles did. Some thing from Kotaku: too much of being similar to old titles. While some fans have disliked Call of Duty: Advanced Warfare, the press loved it. It got high scores from many outlets, including a 4/4 from USA Today. For Call of Duty: Advanced Warfare, Polygon praised it, stating Sledgehammer Games was willing to take a “risk” with Call of Duty. And Kotaku even called it “refreshing” for Call of Duty. Fans alike criticized Infinity Ward for so long about how they hated the game and why they wanted something new. Call of Duty: Ghosts was reflected upon as being “bad” because it was too much of the same and nothing new was there. Some fans even called it one of the worst Call of Duty titles. A lot of fans, here on our comments too, compared Ghosts consistently to Treyarch’s Black Ops 2 and saying Black Ops 2 was a lot better. The feedback was one-sided then: Ghosts was not a good game. So, why would Infinity Ward develop a Ghosts 2 if that name is associated with a bad title? Activision cannot market Ghosts 2 effectively to fans with its bad history. Just because the campaign had a cliffhanger, finishing up a cliffhanger is not worth developing a whole game that would receive harsh comments. Now, here’s Infinity Ward looking at this feedback and want to do something new and something ambitious. We have to understand something: Infinity Ward’s vision for Call of Duty 2016 and development started before any of our feedback about Sledgehammer Games’ Advanced Warfare’s and Treyarch’s Black Ops 3’s settings. This title is based around and built on the feedback from what Infinity Ward saw from Call of Duty: Ghosts. Infinity Ward started developing Call of Duty 2016 right after Call of Duty: Ghosts launched in 2013. That’s how all Call of Duty developers do it: release their latest title, then a team starts on the next one. When Ghosts launched and the pre-launch of Advanced Warfare hype came around, people loved seeing a new studio bringing something new and refreshing to the Call of Duty series. Once the negative feedback came in on Call of Duty: Advanced Warfare’s setting after launch (in 2015), Infinity Ward was already a year and a half into development on Call of Duty 2016. They cannot scrap their idea and start something new, as they do not have enough time to do so. It is the same exact thing from Treyarch last year: when fans saw that Black Ops 3 was futuristic, fans went crazy thinking Treyarch did not listen to feedback. They did, but their ideas and vision for Black Ops 3 was locked in place. These developers do not start developing the latest game when Activision publicly announces the developer each year; the game’s been in development for years. For the last three years, we have seen a trend here: the first title on the three year development cycle for each studio have all been something bold and ambitious. Sledgehammer Games did something we would have never though of before: took us to the future and changed the core movement system. Treyarch brought a more chained based movement, but kept advanced based movement in. Treyarch’s title also brought the most content in the base game that we have ever seen before in Call of Duty. In 2016, it is now Infinity Ward’s turn to try something bold. Now, you must be asking: why can’t they re-imagine old Call of Duty titles? Activision would never, in our eyes, put a lead studio in charge of a remastering a previous Call of Duty. That would be a waste of their resources for the time being as trying something new makes more sense then spending three years re-building something old. While Activision CEO has stated remastering is something “they think about a lot,” it just does not make sense to spend three years for a main studio to re-up assets of an old game no matter how many fans ask for it. Before we criticize Infinity Ward for what they are doing this year, we have to remember that it is our feedback on Call of Duty: Ghosts that shaped Infinity Ward for this year’s title.